This full-length, single strand necklace consists of graduated disk beads made of jet and Kingman turquoise. 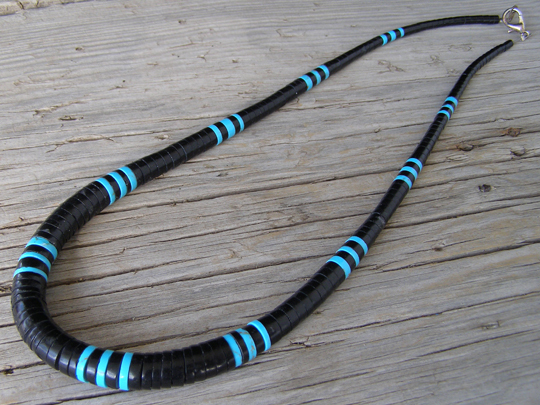 Such banded stripe patterns are classic identifiers of Santo Domingo Pueblo necklaces. Delbert Crespin has been making this sort of necklace for decades.